Eyebrows and Eyelashes are important to facial symmetry. It is an important element to patient self esteem. 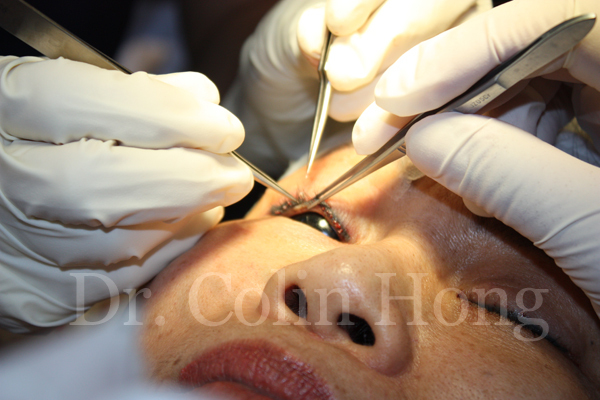 Persons with damaged or injured eyebrows and/or eyelashes may feel very self-conscious. 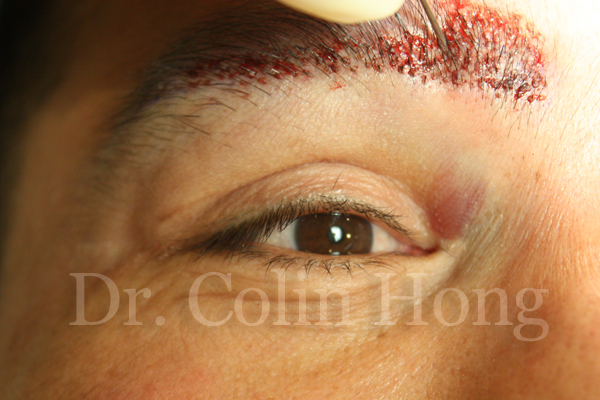 Hair restoration can often restore damaged or disease eyebrows and eyelashes. 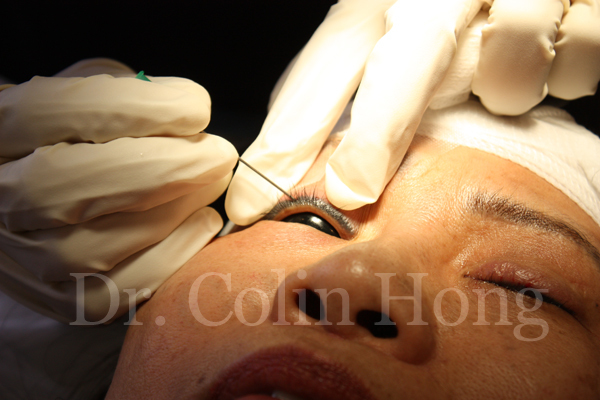 There are multiple causes of eyebrows and eyelashes loss. They include physical trauma such as MVA, laceration from sharp objects, thermal or electrical burns and chemical injury. 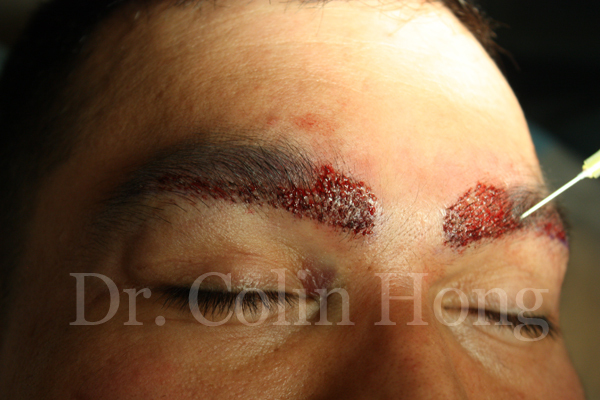 Systemic (autoimmune) or local disease, congenital deficiency, self-inflicted obsessive plucking (trichotillomania) are also common cause of loss of eyebrows and eyelashes. Finally. medical and or surgical treatments with radiation, chemotherapy and surgical excision may also cause loss of eyebrows and or eyelashes. The different causes of loss of eyebrows and eyelashes must be treated prior to surgical restoration of damaged eyebrows and eyelashes. 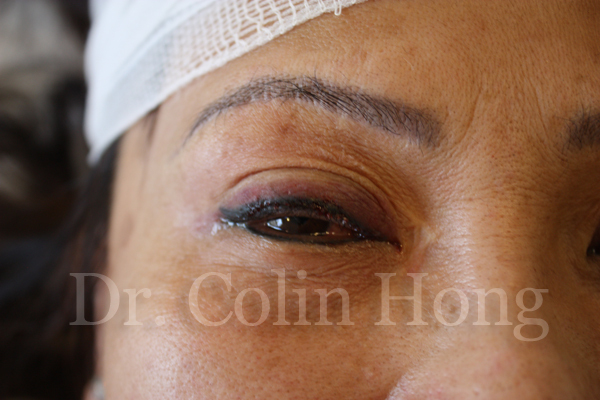 There are patients with no eyebrow/eyelash loss but still seek eyebrow/eyelash enhancement for cosmetic reasons. We believe the ultimate purpose of transplantation of hair to eyebrows or eyelashes is to recreate in a natural contour and to conform to the natural symmetry of the surrounding hair and face. The donor hair must be fine and project in the same direction as the surrounding hair. 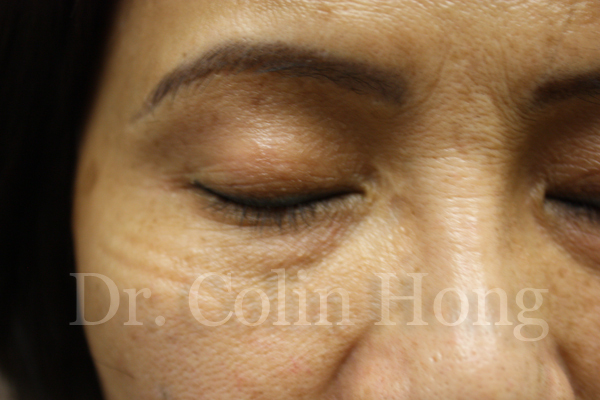 We utilize one to two micro graft in order to adhere to the contour of the native brow. 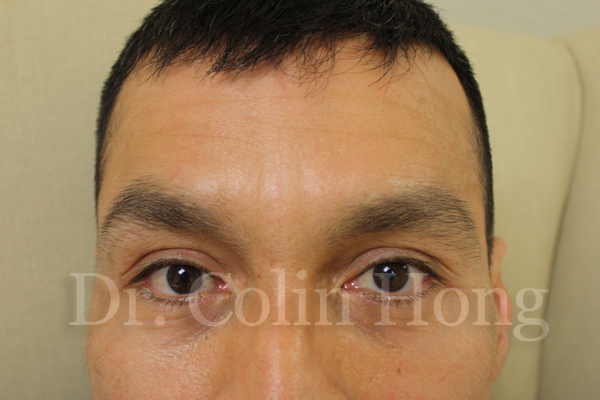 Eyebrow restoration can be accomplish either with transplantation with mini and micro graft or strip graft transplantation. 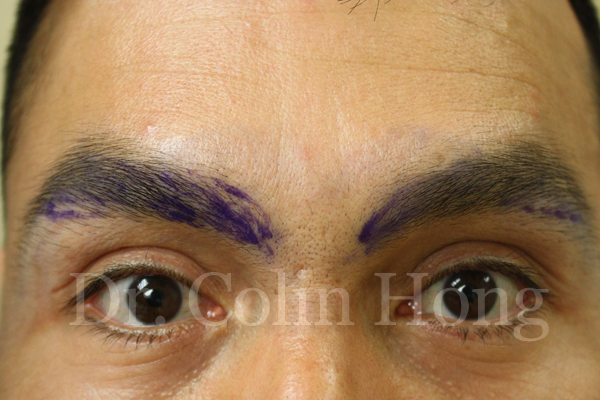 Patients with damaged recipient site from radiation or serious scaring at the recipient site can be corrected with pedicle scalp-to-eyebrow pedicle flaps. Post operative itching is not uncommon. Steroid may be prescribed to relieve itching.